LANSING, MI — Michiganders would no longer need a concealed pistol license to carry a concealed pistol under legislation approved by the Michigan House of Representatives on Wednesday. House bills 4416 through 4419 strike the requirement that a Michigander have a license to carry a concealed weapons. People banned from possessing firearms would be banned from carrying them as well. The bills also reduce penalties for certain infractions relating to carrying a pistol without proper identification or disclosure as well. 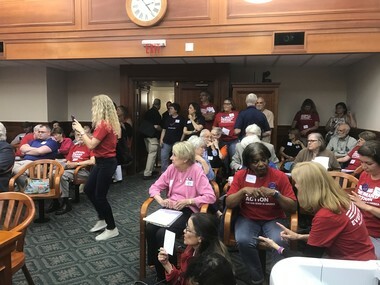 Legislation that would allow gun owners without a concealed pistol license to carry concealed firearms drew a crowd at a Tuesday House Judiciary Committee meeting. Rep. Michele Hoitenga, R-Manton, is a sponsor of one of the bills. She and other sponsors refer to the bills as “constitutional carry” in reference to the second amendment enshrining the right to bear arms. 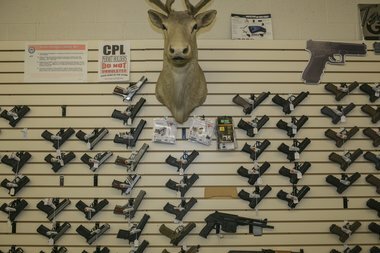 “People who can legally own a gun should have every right to carry a concealed pistol without jumping through bureaucratic hoops and landing on a list,” Hoitenga said. But some Democrats, including Rep. Jewell Jones, D-Inkster, spoke against the bill. Jones questioned why the right to carry a weapon should override the right of people to live their lives and feel secure. “What about the young black and brown men, men like me, who are killed every day?” he asked. Rep. Jim Runestad, R-White Lake, said he found that comment ironic because historically gun laws were established to keep black and brown people from owning guns. And he was among a handful of supporters who made the argument that Michiganders can already open carry guns with no training or permit. “The legislation would repeal these unnecessary criminal penalties for putting on a coat over a gun,” Runestad said. Bills from both sides of the aisle. Rep. Robert Wittenberg, D-Oak Park, countered that line of reasoning from supporters of the bill. “Do you go to the beach naked? If you go to the beach and don’t have 1 millimeter of clothing on you, you’re committing a criminal act,” Wittenberg said. The main piece of legislation, House bill 4416, passed 59-49. Several Republicans voted with most Democrats against the main bill: Reps. Chris Afendoulis, Grand Rapids Twp. ; Kathy Crawford, R-Novi; Martin Howrylak, R-Troy; Rep. David Maturen, R-Vicksburg; Mike McCready, R-Bloomfield Hills; Dave Pagel, R-Berrien Springs; and Rob VerHeulen, R-Walker. Three Democrats — Reps. John Chirkun, D-Roseville; Scott Dianda, D-Calumet; and Phil Phelps, D-Flushing — voted in favor of House bill 4416. House bill 4417 passed 60-48, House bill 4418 passed 59-49 and House bill 4419 61-47.